Cater to city dwellers: Meet the growing needs of urban gardeners by adding edible transplants to your mix. Food: It’s a thread that ties communities and cultures together in a way that not many other things can. And now, where and how you grow food is becoming just as important to our cultural identity. Urban farming and agriculture, which both blend the importance of the where and the how of food production, are movements that don’t look to be slowing down anytime soon. Neither is the demand for locally grown produce. With populations growing, food production sustainability has become a major focus when it comes to new urban development and home gardening endeavors. Government incentives that ease land-use policies, offer tax breaks and fund job training are encouraging individuals and big businesses alike to jump into the urban farming game. Startup costs for such endeavors are going down at the same time marketing efforts and consumer demand is rising. Food production “incubators” are popping up to help entrepreneurs launch their small local food businesses. Entrepreneurs big and small are converting empty warehouses in cities across the country into hydroponic and aquaponic farms. 2016 marked the 4th annual Indoor Ag-Con conference in Las Vegas, an event that’s growing each year. Community gardens and farmers markets are booming and “terrace gardening” space rentals in big cities have been gaining momentum over the past few years. Urban spaces once abandoned are being transformed into green spaces, many devoted to growing food for the local community. The industry’s next “now” big thing is high-intensity vertical farming technology, also referred to as closed plant production systems (CPPS), or plant factories with artificial lighting (PFAL). For the home consumer, the latest popular options are small, controlled, indoor growing systems and environments that urban dwellers and businesses without any soil can use to grow their own produce. Essentially, “grow rooms” are coming out of the closet and being modernized for use by those who just want to grow some of their own food. Urbanites and other home gardeners who want to grow their own food are increasingly looking for new and interesting varieties. When it comes to local produce, trendy restaurants and grocers aren’t the only ones doing the buying. Urban dwellers are directly purchasing more locally grown produce when they can find it. But, they don’t only want to buy produce, they want to grow more produce themselves, too, be it in a small backyard, on a balcony or even indoors. More and more small-space garden and apartment dwellers are engaging in their own forms of micro-agriculture — or hyperlocal gardening — turning their kitchens into mini-farms. As a produce grower, you may be better equipped to easily integrate edible transplants into your production mix, as you already understand the special needs of such crops. 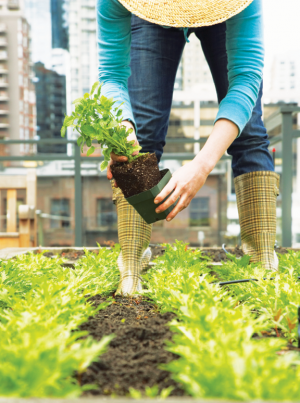 When it comes to choosing which edible plants to grow, it’s a good idea to turn to retailers for key insight into urban agriculture and gardening trends. To see what specific products are resonating with urban food growers, here’s what two independent garden center sources on opposite coasts had to say. Urban gardeners want plants that'll produce heavily to take advantage of limited space, says Gerry O'Donoghue of Sloat Garden Centers. “The big thing is organic,” says Dimitri Gatanas, owner of Urban Garden Center in downtown Manhattan, N.Y. Regardless of the type of vegetable or fruit, how plants are grown is of particular interest to Gatanas’ customers; they want plants grown free of chemicals. Herbs and veggies of all sorts are popular, with ‘San Marzano’ tomatoes, cherry tomatoes, Serrano chili peppers and lettuces getting the most traction. Gatanas also notes a meaningful uptick in the sales of citrus. “It seems like the recent lift of the moratorium [on] selling citrus has flooded the market with lots of varieties,” he says. “And the customers are responding to them.” He says all mini-varieties of edibles are very popular. In terms of how NYC urban gardeners are growing their edibles, Gatanas says they are using just about every type of setup. Raised beds, balcony containers, rooftop gardens and indoor hydroponics are all at play with his customers. Repurposing and recycling is also a big trend. Vulcanized fiber storage bins and recycled pallet planters are popular at Urban Garden Center. “We even plant veggies and herbs in old shoe door hangers and burlap bags,” Gatanas says. That’s pretty efficient use of growing space. Considering space is valued at a premium in NYC, plants that can produce heavily in a small footprint will attract a good price. Sloat Garden Center in Sausalito, Calif. is experiencing similar consumer demand. “We are seeing customers looking for more edibles suitable for containers, raised beds, hanging baskets and vertical gardens,” says Gerry O’Donoghue, green goods coordinator for Sloat. Tomatoes are consistently their most popular edible transplant, followed by strawberries and superfoods such as kale, spinach and blueberries. 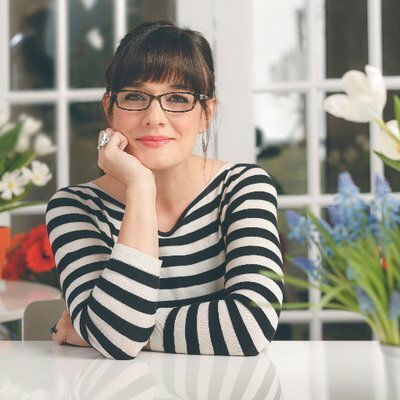 “Citrus still is a popular choice especially for larger containers” says O’Donoghue. O’Donoghue is always on the lookout for new dwarf edibles when he attends industry events and spring trials. He says cherry tomatoes are the most popular dwarf vegetable, in addition to dwarf peppers and eggplant. While they also buy conventional favorites, O’Donoghue says his customers are always looking for the newest edible varieties — as well as for edibles that grow well indoors. In addition to raised beds and pallet planters being in high demand, Sloat is also now offering portable planting bags made of recycled fabric, which are perfect for the small-space urban farmer. 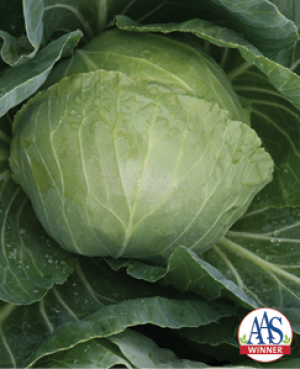 Choose from these 2016 AAS Vegetable Award-winning varieties. Tomato Candyland Red is unique in that it’s a currant-type tomato. These tiny fruits pack a flavor punch and can be eaten right off the vine. Candyland Red has a more compact habit that other currant-type tomatoes. 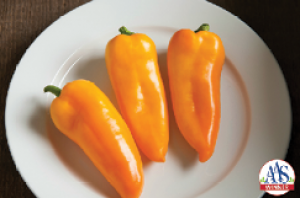 Pepper Cornito Giallo is a golden yellow Corno di Toro sweet pepper that packs big flavor into a “half-size” package. The compact plants and fruits are perfect for a sunny terrace or patio. It can take a lot of space to grow a healthy head of cabbage. Cabbage Katarina has a perfect smaller head size (4”) and shape perfect for containers on patios, decks or raised beds. 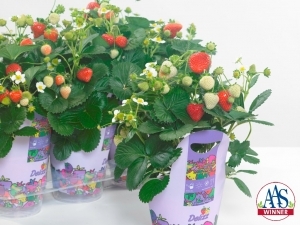 Big flavor on compact plants with abundant yields makes this strawberry a winner throughout the growing season. Plant size is perfect for containers and hanging baskets and plants tolerate summer heat well. What should you take away from these retail trends as a grower? Edible plants grown organically, that can produce high yields (both in bounty and nutritional value) in small spaces and potentially lower light levels are what urban farming customers want and need. 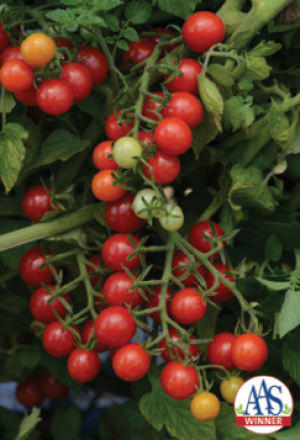 New dwarf varieties as well as compact vigorous grafted vegetable varieties fit the niche need perfectly and will no doubt grab customer attention. Foodies are also favoring ethnic foods and ingredients that are traditional to local populations. So when you’re choosing edible varieties, take a moment to consider important ethnic groups or food traditions in your local area. Providing ethnically relevant selections will no doubt resonate well with your local customers. When adding edible transplants to your mix, don’t forget to mine your own data as a produce grower. Which types of fresh produce and sizes are selling the best? Chances are, the same will hold true for corresponding transplant sales.